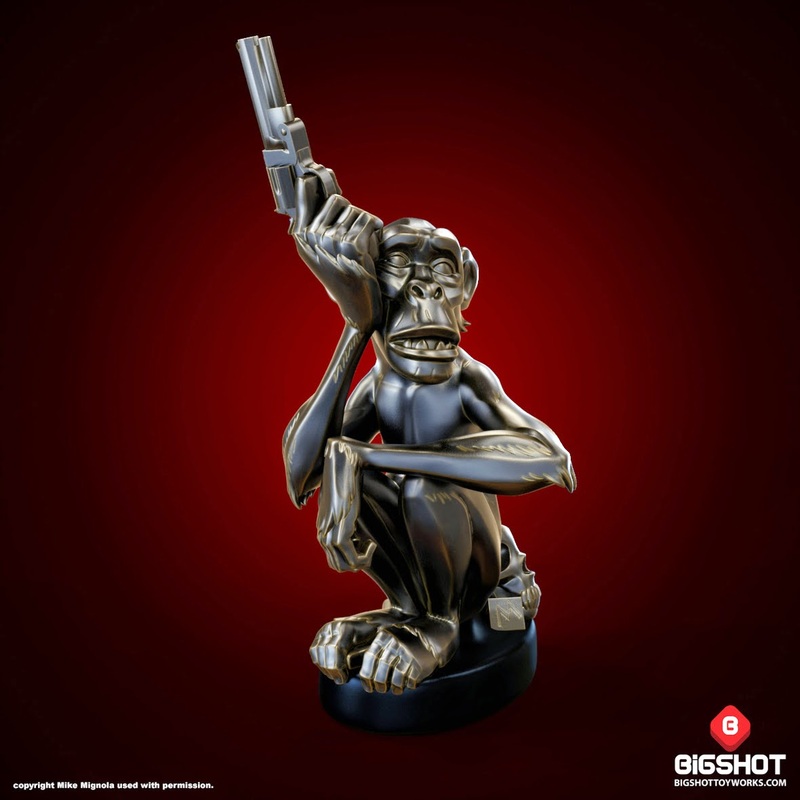 Based on the artwork of the same name by renowned illustrator Mike Mignola (creator of the Hellboy comics), Monkey with a Gun has been faithfully translated into three dimensions by the team at Bigshot Toyworks. Standing 9.5 inches tall, this resin sculpture will be produced in limited numbers. Preorder customers receive a free, signed Mike Mignola Monkey with a Gun print with their order. Monkey with a Gun retails for $150 each and is scheduled to ship to customers in Q1 of 2015. Preorders are available now in the Bigshot Toyshop. The Monkey with a Gun piece is the next self-produced figure by Bigshot Toyworks, following the Martin Hsu Miya-San figure and the Little Maddie figure.